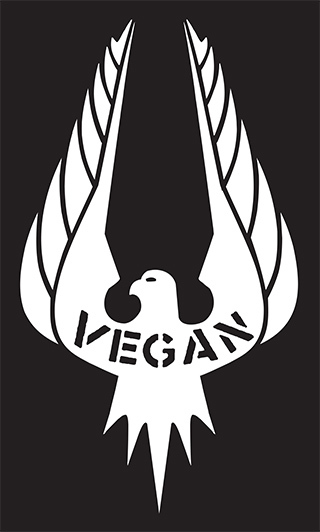 “Vegan Falcon” by rootsofcompassion eG is licensed under a Creative Commons Attribution-NonCommercial-ShareAlike 4.0 International License. We disallow any utilization of this work by right-wing, racist and other inhuman organizations and persons. Accordingly, we don’t allow the use of this work for such expressions of opinion.